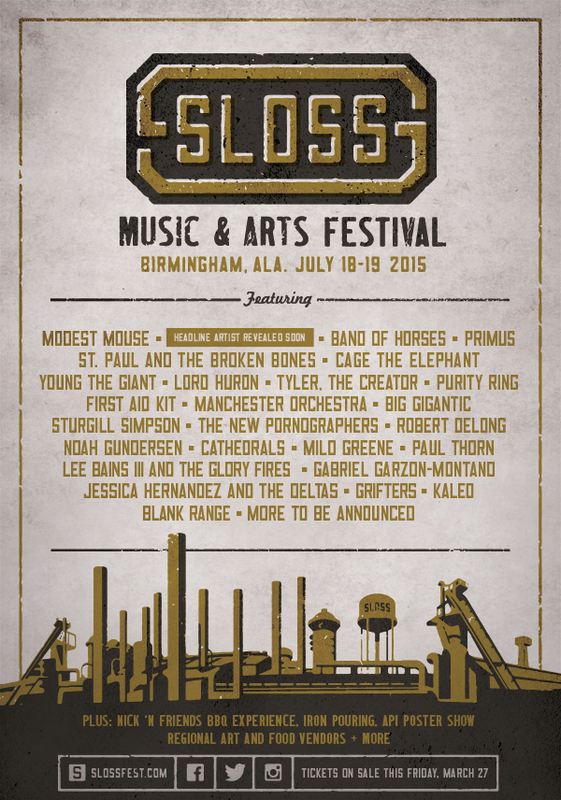 Sloss Music & Arts Festival has announced the initial wave of artists for its inaugural year. The festival will feature some big names such as Modest Mouse, Band of Horses, Primus, Cage The Elephant, and a whole slew of other artists ready to get slossy during what is set to be a scorcher (temperature and music) of a weekend. Don't know about all of you, but we're pretty excited to see who snags that last headliner spot! Who would you like to see added?